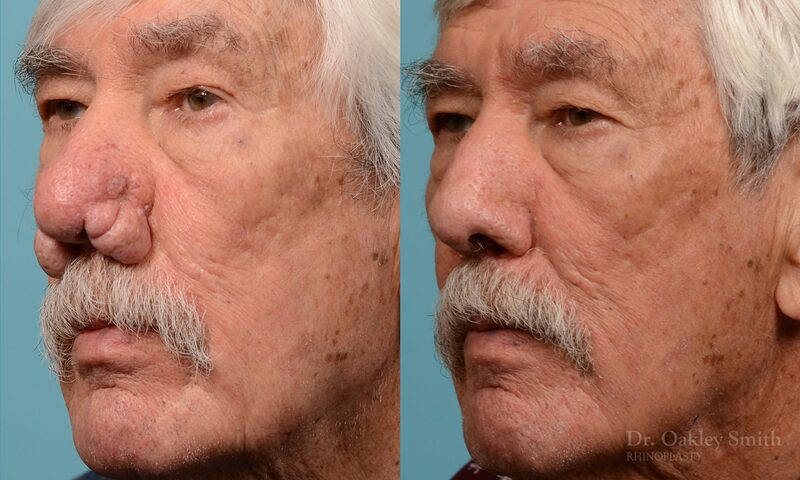 This elderly gentleman had rhinophyma surgery. It grew slowly over decades to reach this point where his breathing was greatly impaired from the growths partially blocking off his nostrils. 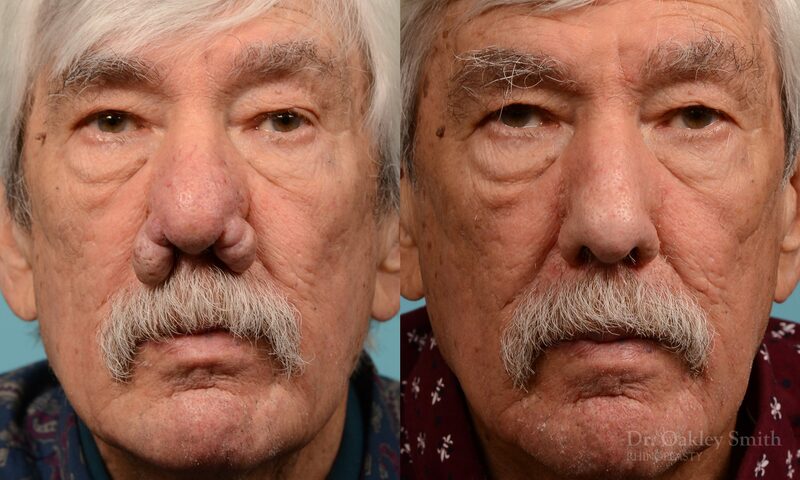 Rhinophyma usually takes many years to reach this degree of deformity. The cause is still unknown, although a common skin fungus is thought to be implicated. Although we all have this on our skin, it’s the person’s abnormal response which determines whether it progresses to rhinophyma. Rhinophyma surgery is very different from the standard rhinoplasty surgery. 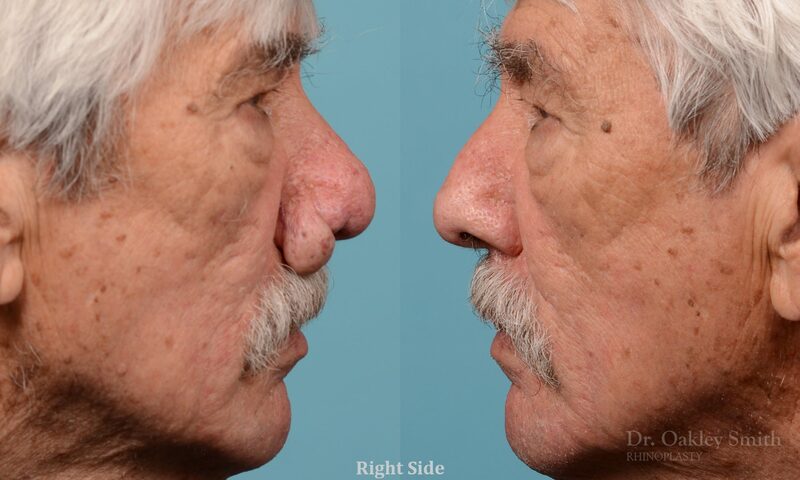 The underlying framework of the nose isn’t altered like in rhinoplasty. 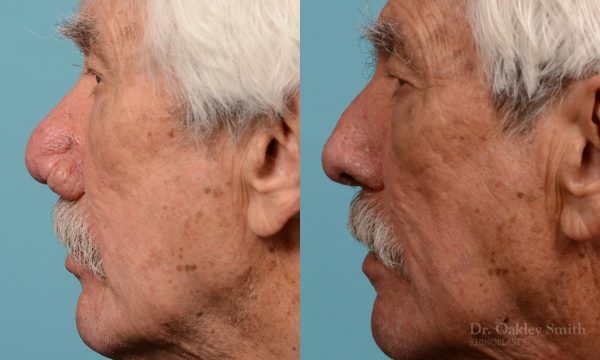 This is an operation on the nasal skin only. It is truly like sculpting! The thick overlying skin is pared down to within millimeters of the cartilage and bone. This way just enough skin is left behind to allow for the remnants to regrow and recover the nose. This is where the skill and experience comes in to play. 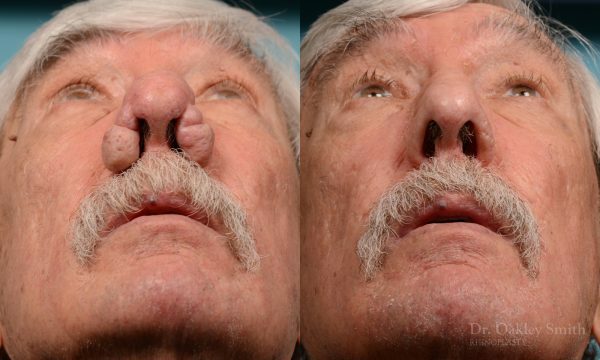 If not enough skin is removed, the resulting nasal shape could have been better, and the rhinophyma can regrow. 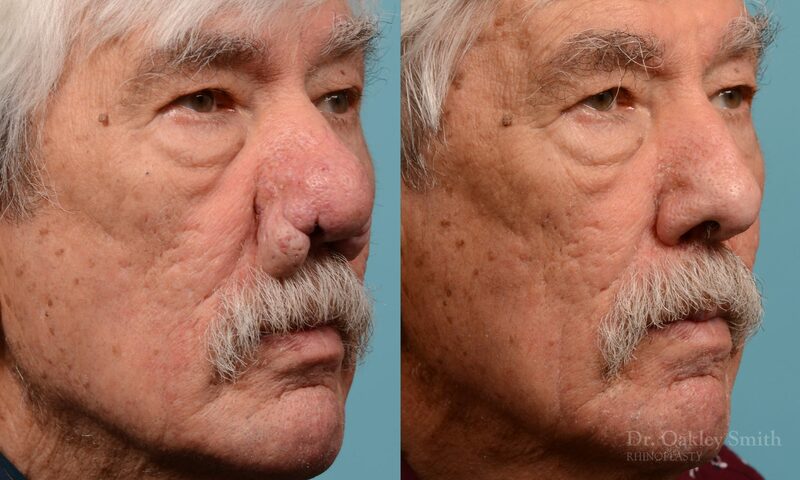 While if too much skin is removed, there won’t be enough to resurface the nose and there will be scaring. Having an experienced surgeon is the most important decision a patient has to make. Since rhinophyma isn’t a common nasal condition, few surgeons ever gain enough experience to become a master at this type of rhinoplasty.